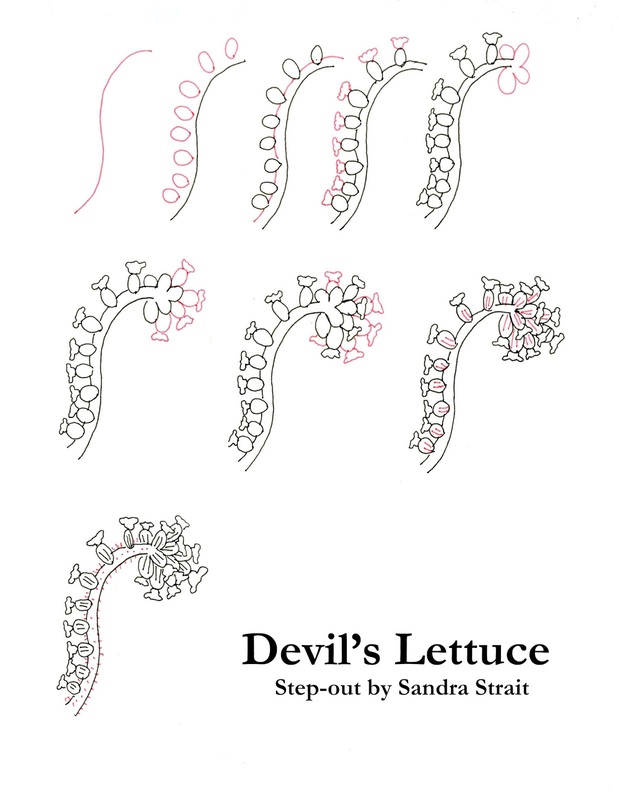 The Friday Fun & Easy Landscape Challenge 3/23 -4/6: Draw a landscape using the Devil’s Lettuce step-out. Extra calorie-free brownie points for adding a Bell 3 plant. Devil’s Lettuce is a plant also known as Checker’s Fiddleneck, and seems to be the desert version of the fiddleneck fern. I thought it was an interesting plant with its tiny blossoms growing all along its stem and the clusters of buds and blossoms at the end of its curly neck. As always – make this your own. Play with the sizes and shapes of the flowers and the curls and the clusters. Let your unique flag fly! 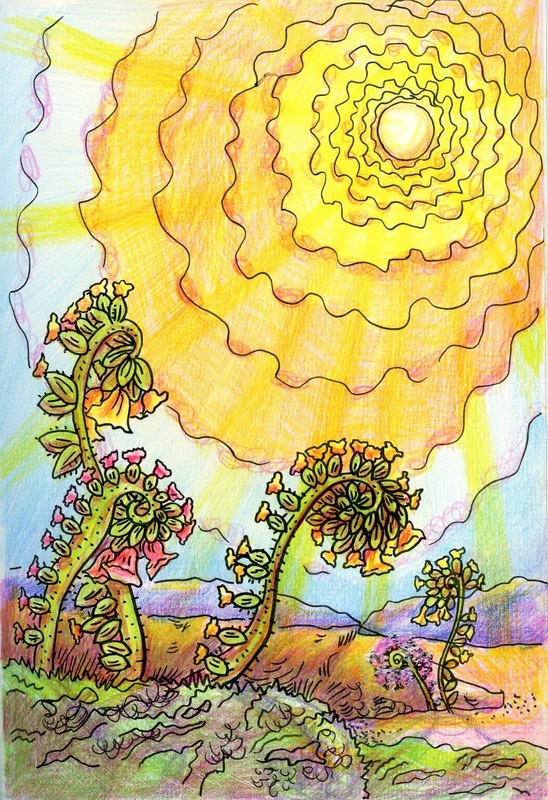 This example was done with Zebra Pen Zensations Brush pens and Mechanical Colored Pencils in a Hahnemühle Nostalgie Sketchbook. This was my first colored pencil in this book, and I love the way the colors are so bright!